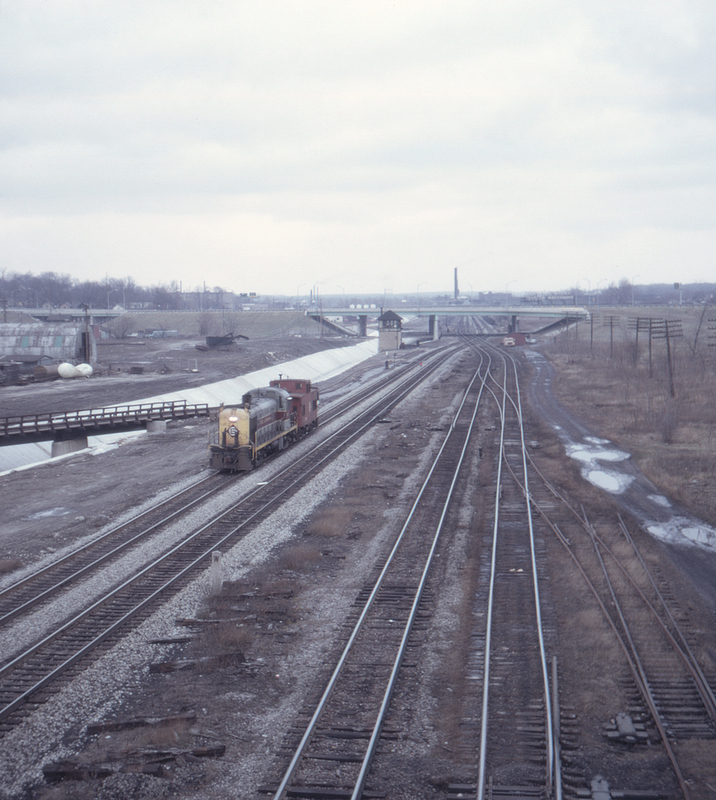 A short caboose hop heads south past Valley Street (VY) tower, where the Erie's Cleveland & Mahoning and the New York Central's Ashtabula branch trade places. They will continue to parallel one another north all the way to Doughton Junction (just west of Hubbard), where the NYC line will diverge to head north to Ashtabula while its Sharon Branch continues to parallel the Erie all the way to the steel mills of Sharon, Pennsylvania. It looks like the Central (now part of the bankrupt Penn Central) has received an application of weedkiller, but the ties are still sinking into the mud due to lack of ballast.